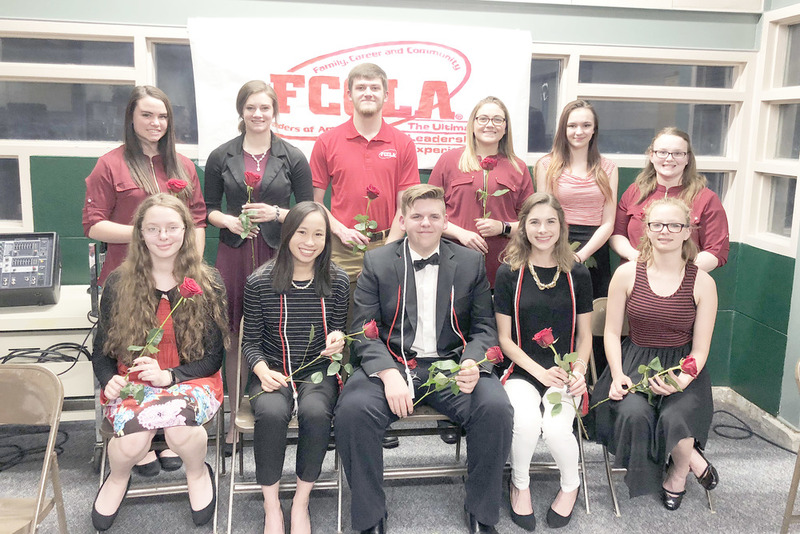 The FCCLA club at Holyoke High School recently held their awards banquet. Anna Jelden, a senior at Holyoke High School and active participant in FCCLA, was at the awards on Monday. Everyone participating in National Program during this year received awards. These included students in Student Body, Power of One, Financial Fitness, Community Service, Career Connection, and Families First. Members who participated in Competitive Events at State Conference were also recognized. Anna reported that other awards were the ROSE award, Friend of FCCLA award, and the 4-year member award. Tyler Lamm, Tica Penzing, and Anna Jelden recieved FCCLA Leadership Scholarships ($500). Congratulations to all FCCLA members who received awards.